Much is known about William McKinley, Jr., the 25th President of the United States. He was known for acquiring the position through an intense election period and leading the country to victory in the Spanish American War which lasted for ninety days. The seventh of nine children, McKinley was born in Ohio on the 29th of January 1843. Both his parents were of English and Scots-Irish ancestry. His father, William McKinley Sr. ran a humble iron foundry in Niles, Ohio. His mother, Nancy Allison McKinley, served as a village leader. William’s brothers and sisters were named James, David, Mary, Anna, Sarah Elizabeth, Abner and Helen. The entire family moved to Poland, Ohio when he was only ten years old. It is here where he graduated from the academy before attending Allegheny College for a single term in the year 1860. He became the president of the Debating Society and the Everett Library in which he showed immense leadership qualities. When William turned seventeen, he went to Meadville, Pennsylvania to pursue his studies, but it was later cut short due to illness. He returned to Ohio where he tried to earn money by teaching in a small school. The year 1861 marked the start of the American Civil War. McKinley enlisted as a private in the 23rd Ohio Infantry with future US President Rutherford Hayes serving as his superior officer. McKinley was promoted to commissary sergeant, but soon left the army as a major in the year 1865. McKinley decided to attend law school in 1866. After studying in Albany, New York he was soon admitted to take the bar in Ohio, the place for his first political participations. He worked as an eager Republican campaigner for Rutherford Hayes. Three years later, McKinley was elected as an attorney for the Democratic Stark County where he met the daughter of a businessman Ida Saxton, who he later married on the 25th of January 1871. In the same year Ida bore their first daughter Katherine. Two years later, their second daughter Ida was born but unfortunately Ida’s (McKinley’s wife) mother passed away at this time. Their daughter Ida passed away five months later. Three years later, Katherine died from typhoid fever. After these traumatic events, McKinley’s wife started to suffer from mental depression and seizures for the rest of her life. It was in 1876 when McKinley, who at that time was already aged 33, was voted to become the northeastern Ohio representative for the Congress. He won the position and held the seat for 14 years. At this point he became a well-known politician due to his honesty and hard work. He was soon elected in 1889 as chairman of the House Ways and Means Committee. 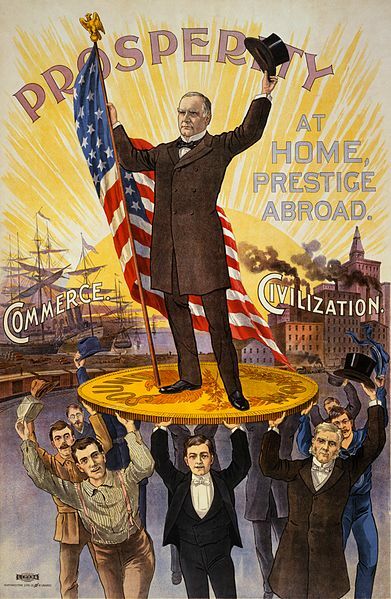 The committee soon prospered as a financial legislation, elevating McKinley as a more important political individual. A year later he wrote the McKinley Tariff Act which executed high tariffs on imports in order to protect American manufacturers and laborers alike. William soon became acquainted with Marcus A. Hanna, an industrialist from Cleveland. 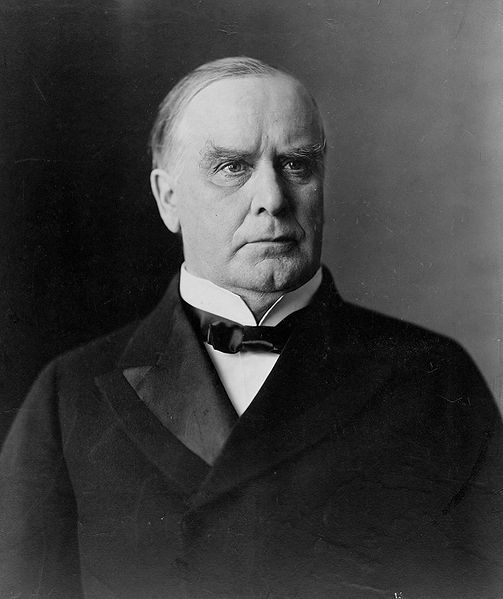 Hanna expressed desire to make a president out of McKinley as he was seen as a prominent figure in protective tariffs. Due to Hanna and their popularity among the people, McKinley was soon elected in 1891 as the Governor of Ohio, in which he supported reforms on taxes for various corporations. In 1893 his political status was put in danger when a close companion of his went bankrupt which left the governor with a debt costing $130,000 via his endorsed bank notes. Fortunately, Hanna saved him by paying off these debts. Hanna had already devoted his full time for his partner’s candidacy. 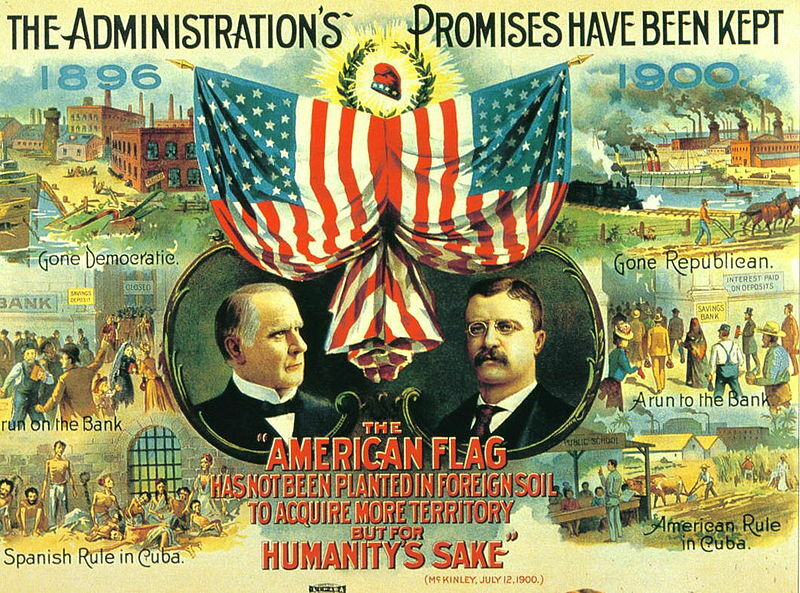 McKinley was nominated for the seat of the President in 1896, with the Democratic William Jennings Bryan as his opponent. Hanna had advised big industries to support McKinley’s candidacy, earning the Republican Party millions of dollars for campaign materials, part of which was urging the country against voting for Bryan as the result would be a nationwide depression and a massive loss of jobs. It is at this campaign period where Bryan had delivered his now-famous “cross of gold” speech. McKinley won as President after gaining 271 votes compared to his opponent’s 176. McKinley was 54 years old on the time of his inauguration. 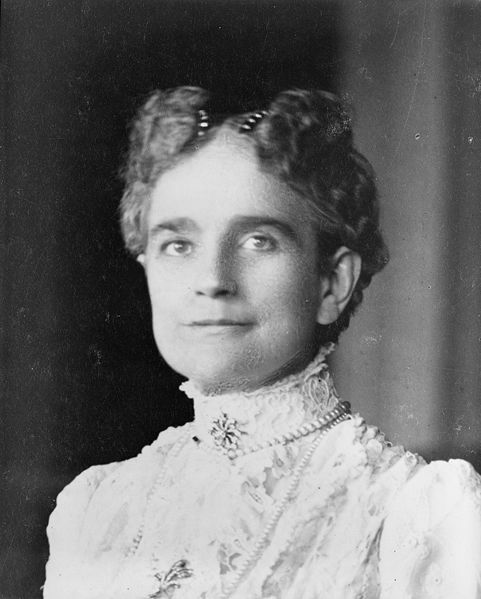 Despite his wife Ida’s poor condition she was still able to accompany her husband in various social engagements in the White House. His term was considered by many to have a friendly atmosphere owing to McKinley’s good-natured personality. The economy prospered due to the economic reforms which the office represented along with large businesses. McKinley also guaranteed no-reform legislations while disregarding laws that involved the controlling of big business. Unfortunately, foreign industries ruled over the administration as an attempt to expand trade to find newer markets for products. When the American ship Maine exploded in Cuba on the 15th of February 1898, Congress declared war on Spain which resulted into the 100-day war. The United States army managed to destroy the fleet of the Spanish soldiers in Cuba and, in the process, gained control over Manila in the Philippines, an act which he strongly opposed. The results were successful enough that peace was brought back on the financial relationships between America and Cuba. In the same year McKinley showed support for Hawaii’s annexation in order to establish a naval base within its boundaries. McKinley’s body was initially buried in West Lawn Cemetery before being transported to the McKinley Memorial in Canton. The Temple of Music, the place of his assassination, was soon demolished in 1901.